Apparently I'm in a mood for garter stitch lately. I really love it- it's calm and meditative, I can do it anywhere, any time, and the finished fabric is squishy and homey. 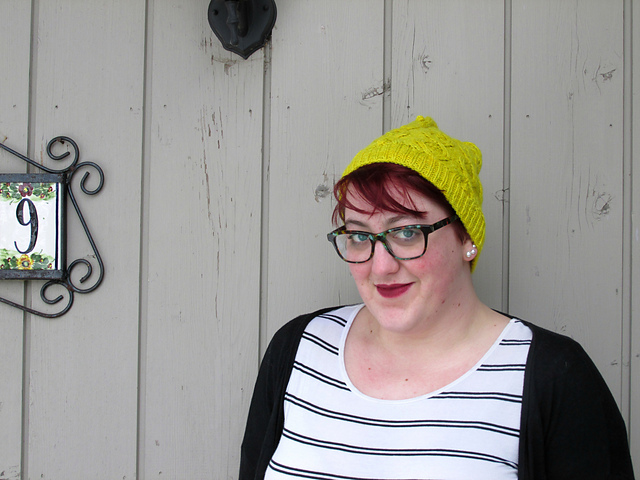 I hated garter stitch for a couple of years, after I first learned how to knit. My first project was a garter stitch scarf, which never made it to the halfway point, and was consigned to the rubbish bin several years ago. 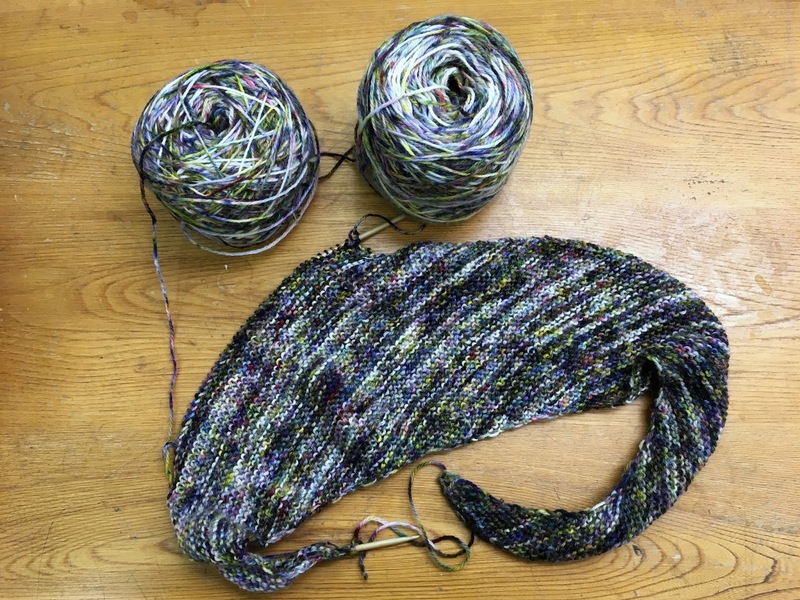 I'd seen friends try their hands at knitting, stalling out at garter stitch scarves, and I got it into my head that garter stitch was amateurish and untidy. Fortunately, that was just a stage, and I've since come back around to garter stitch. Just because something is easy doesn't mean that it's not also beautiful, and garter stitch has a great utilitarian elegance to it. Garter stitch will stretch to wrap you in warmth or squish into the bottom of your bag, garter stitch forgives accidental increases and decreases. It might not be as flashy as some other stitches, but garter stitch is both humble and proud, it's not above being used as an emergency hot pad, and there's nothing like a garter stitch afghan casually draped across the back of your couch. Garter stitch always makes me think of fall and winter. It's easy and cozy, and as soon as I can hear the faintest calls of colder weather (university students move back this weekend for fall classes) I reach for that warm familiarity, the very roots of my knitting experience. As with all things, I'll get my temporary fill of garter stitch eventually, and be drawn back to stockinette, or cables, or lace, but I've been in a garter stitch state of mind for a couple of weeks now, and it's not slowing down yet. I share your feelings on garter stitch sometimes I love it, sometimes it seems too 'simple', but it is truly a squishy, lovely thing when it's the right combination of yarn and pattern. I like to knit the garter stitch diagonal wash cloths. Very relaxing. Garter stitch is so soothing. Something about repeating the ritual and not having to think as much is comforting. Your shawl is beautiful and the garter is the perfect choice to show off the depth of colors. I love a good garter stitch project every now and again, I just really appreciate the squishy fabric it gives. Especially for shawls it's a favourite.